Anyhow, the group I am writing about today is an indie band that plays mostly rock-type songs. I used to, back in the day, listen almost exclusively to groups that played their own instruments and wrote their own music…It almost didn’t even register with me that a group might not do those things. But over the course of the last several years I have grown to appreciate the boy group/girl group approach and recognize/revere the amount of talent and effort it takes to succeed in this setting…but I digress. I LOVE a good rock band. I grew up on rock. I am a child of the 90’s. I want musicians to have been playing in their garage since they were 13. I want intentionally messy hair and clothes thrown on as an afterthought. I want socially awkward but passionately ‘into the music’ lead singers and drummers with a day job. I love the pure need for music that all of these traits and stereotypes symbolize for me. 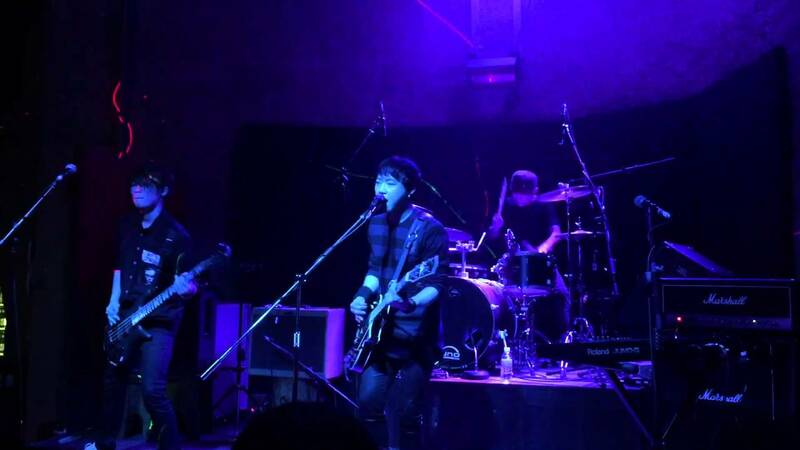 The Vane, started as a rock trio from Daegu. The only remaining member is Choi Bo Hun, the vocalist and songwriter. It appears that he IS the Vane and the others, at least on recent albums and in recent shows, have been session musicians. Either way, the music is fantastic. Their first EP, Line, is a mix of driving, radio friendly rock songs and slower moving rock ballads. It is completely different than almost any music I have found on the Korean scene, but very reminiscent of American alternative rock from the late 90’s early 00’s…which could possibly be why it speaks to me…those were my formative music years. Beck is my favorite of their/his harder songs on this EP. I love the guitar and the way he uses his voice to almost sing/whine the chorus. I live for the moments he kind of growls or his voice cracks…just that right amount. It’s all delicious. And the guitar solo at the end….yeah, that. I had decided to write about the Vane for today’s post over the weekend…but low and behold, they put out a new song earlier this week. I am going to go ahead and drop that link in here too because I can’t not. Like a Musical Monday bonus. 1. I have been playing Alone for the last couple days and totally love it. Its like The Church and Curve had a baby. I miss the 90s swirling guitar sound. 2. He is very pretty.